Moment Health is a start up technology company which exists to prioritise Maternal Mental Health and make it mainstream. 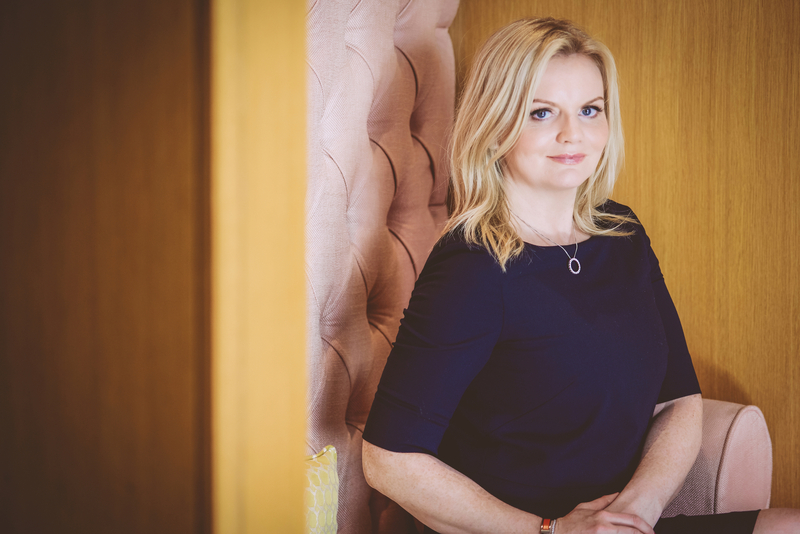 Developed with clinicians and healthcare professionals, entrepreneur Nuala Murphy has determined the product market fit and Moment Health’s first innovation is an app which screens for perinatal, postnatal and associated anxieties. It includes features to better the lives of mums and dads who all deserve the best of care. Moment Health is the only company worldwide focused on early intervention. Research shows that with early intervention, 80-90% of sufferers fully recover. CEO Nuala Murphy has a real urgency to help others – to take away that feeling for new parents of having nowhere to go. The prevalence of antenatal or postnatal depression and associated anxieties is evident in the data regarding sufferers – 20% of women and 10% of men – and the shocking figure that 23% of women who died between six weeks and one year after pregnancy died from mental health related issues. Moment Health has developed a novel way of helping new mums and dads with tech for good as a companion to those who need help. Receiving a Tech Start grant and early stage investment to build the team and bring Moment Health to market following self funding from Nuala Murphy for the prototype. Significant results from early research at Ulster University securing a Clinical Trial. Our Moment Health app ranking #1 health and fitness app in the UK in its first week although this ‘big win’ is bittersweet as it just underpins the scale of the problem of maternal mental health in our society. Next round investment will enable Moment Health to scale and grow the innovation. Take the knockbacks as learnings. Known as ‘the greyhound’, Nuala has been able to work at her own speed to realise her dream of making Moment Health a reality. Seek out and build a network of support from other entrepreneurs. Relish the new challenges every day and see them as opportunities. As CEO, Nuala is supported by a head of tech, marketing UX and content. Ongoing advice from various medical experts has been instrumental in developing Moment Health. Medical experts monitor and advise users on a daily basis. Moment Health will continue to develop whilst there is a need for us to better the lives of mums and dads who all deserve the best of care, helping parents at the most crucial stage of parenthood. We will continue to work to alleviate the huge burden maternal mental health places society. Nuala loves her FitBit for keeping her stepping and tracking her activity. Her Amazon Alexa and beagle Daisey keep her company at home. Alexa is great for turning off the lights and throwing in the odd joke which are programmed by Nuala’s husband Jonny and usually not funny she says! Nuala also admits to having arguments with Alexa and when she plays the wrong song or turns on the wrong lights! With too many small bits of plastic in the house the robot that hoovers is also a firm favourite. Nuala can’t wait for driverless cars! She’d love a school activity tracker and reminder as the mums WhatsApp group is a lifesaver for keeping her and other mums right. And a smart fridge would certainly help the busy entrepreneur – it could read the contents and then tell Nuala what to make for dinner. People are an organisation’s biggest asset. We are currently talking with businesses about how we can help their staff. Moment Health can be incorporated into the organisation’s wellness programme or can be offered as a stand alone support tool. Moment Health can pre-empt potential absences and speed up recovery by connecting new mothers with the knowledge they need to faster, long term recovery from postnatal depression and associated anxieties.